That was my point, they still have clouds that look fine right now, it's just this 1 type that breaks the immersion for me. They look great from a distance but get within 5-10 kilometers and you can start to notice that it's just land. Those clouds that looked off before (which i'm guessing was just flat "noisy" land) were fine because they looked very roughly like flat clouds (Which you see a lot of in the real sky from our view), but when you get close to these ones you can see them taking on the shape of the land. Am I correct in assuming there will be volumetric clouds at the $15,000 mark in 1.0 and that the clouds are like this because of engine and budget limitations? I think the release notes mention restoring cloud bumpmaps. Probably the code has its roots in the land bumpmap code and with some parameters can still produce land-like results. I don't like the results either. When things like this can produce subjectively good or bad results, they should have a toggle in the graphics control panel. There's a 3D Water checkbox, it'd be nice to have a 3D Clouds checkbox too. I'm not sure the life probability and minimum age parameters in universe.cfg are being handled correctly. I'm not a big fan of the new life types (desert, subglacial, floaters, exotic) and in my universe.cfg I try to eliminate them by setting their probabilities to 0.000 and their minimum ages to 20+ billion years. They still seem to appear as frequently as with the stock settings. FYI on why I don't like the new life types: they're completely hypothetical, but more importantly they don't change anything and so are a distinction without a difference. An icy moon with subglacial life looks just like an icy moon without it. I don't think SE should bother trying to track these sort of cryptic biomes, but instead highlight only biomes that are out in the open and change the appearance of their world. In this respect I really like the new distinctions between terras with unicellular vs multicellular and land vs marine life. A temperate terra with unicellular marine life just looks like Precambrian Earth. I agree with you about the life, and these things will certainly be addressed in the future. He just needs time to work on them, which he unfortunately lacks right now. That's what the funding for SE is for, to allow him to spend his time developing the engine and making it everything it should be. I love the new types of life, but I do think they're far too common currently. Hi everyone. So I jumped on SE today to find out that objects are no longer loading for me. When I click F2 to view the system, no pictures of the planets show up. When I go to a planet/star, nothing is to be found. Auras and star light seems to still load, but nothing else. I have tried restarting the game and computer more than once with no resolve. Any ideas? 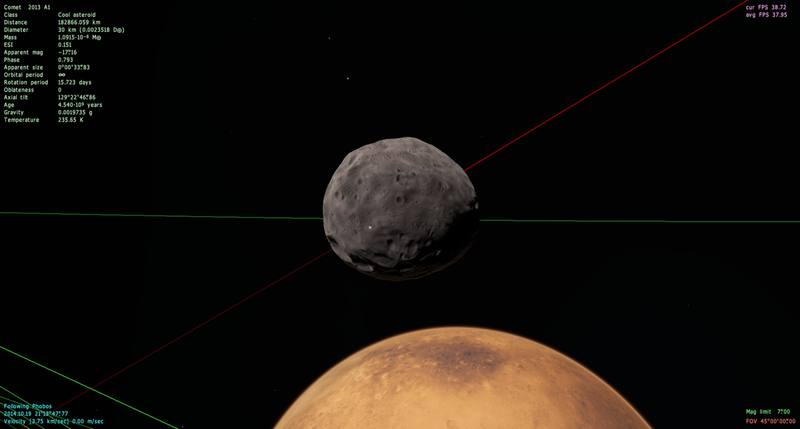 If you post your se.log file (from SpaceEngine/system) it's a lot easier to determine what's the problem than from a description only. EDIT: I went ahead and re-installed the game and everything seems to be working again. Thanks. You should probably post these in the bug report thread and not here, by the way. I have an issue. 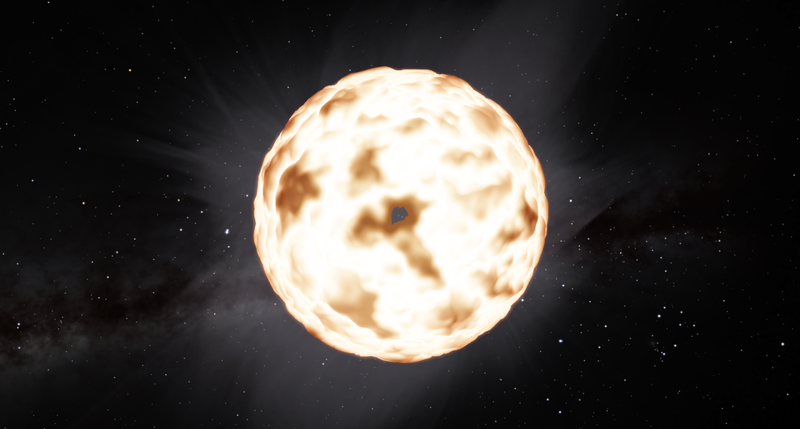 I recently opened SpaceEngine and everything loads except objects. Stars, planets, you name it, it wont load but I can still see the "light" from stars and other objects but when I get closer, theres nothing there. When I press F2, there aren't any pictures either. Did you try and re-install the game? I had a somewhat similar issue after my Nvidia rivers had recieved an update yesterday. All objects were invisible and I could look through stars. Re-installing fixed the issue for me. Shader cache must be rebuilded after the driver update. SE must detect new driver and delete the cache automatically, but this not happen in some reason. how can I activate the retro engines? when I use a ship they doesn't appear... only the main and the hoover.